Happy New Year from our team at Stephen Hagler LLC, Attorney at Law. We have been creating wills and assisting families in the process of probating or administering estates, and establishing guardianships and conservatorships since 1991. We’re proud to enter another year of serving you, and all our clients with our years of experience and care. As you enter 2019, why not take a moment to ensure that your will is in order. The beginning of the new year is a great time to get a fresh look at the state of your family, belongings and cherished items. 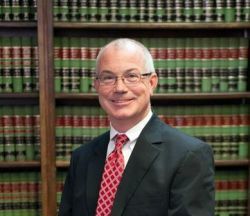 If you don’t have a will established, let Stephen Hagler, LLC help you through the process of creating one in 2019. There are many reasons to have a will, but here are 3 for you to consider. When you establish your will you are deciding and controlling how your estate will be distributed. Your will is legally-binding and does not allow for other’s opinions and direction after you are gone and no longer able to speak for yourself. A will ensures that your voice will be clearly heard after your death, which will help solve any family disputes about your estate after you are gone. When you establish your will you are determining who will care for your minor children. If you don’t have a will a court will determine this for you. 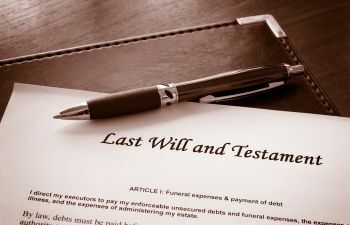 When you have a will it will help speed up the probate process. Contact Stephen Hagler, LLC today to start the process of preparing your will or trust for your loved ones.